Pure Safe offers two discrete business continuity solutions, providing levels of operational resilience and disaster recovery capability that match the needs of your organisation. 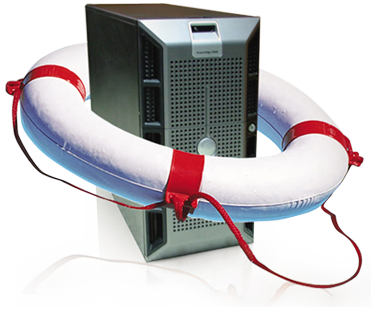 Recover-track provides essential business continuity in the event of server failure. It replicates all your data and recovers it to a remote platform that can be accessed via the internet, enabling your people to open data files, documents and folders, and to continue operations from any location that has internet access. If your recovery point requirements exceed the capabilities of standard disaster recovery solutions, Double-Take provides full resilience via 100% real-time replication of your data in a mirrored target array. The instant that server failure occurs, we initiate recovery procedures and within a maximum of 4 hours we’ll restore your working environment to the precise pre-event position. Watching over the digital world.